I made this wallpaper when I was watching Ah! 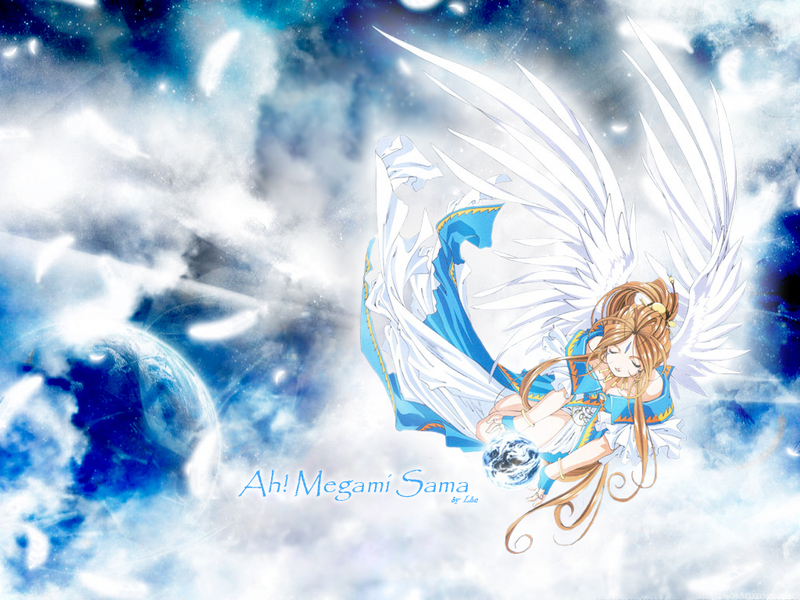 Megami Sama was very kind and fan of Belldandy. So I went and tried many renders it on the net until I found this, there comes ready tutorials on deviantart search of clouds and how to make a planet. This really turned out great! The planet looks very good and the feathers and clouds add a nice feel to it. Good job!